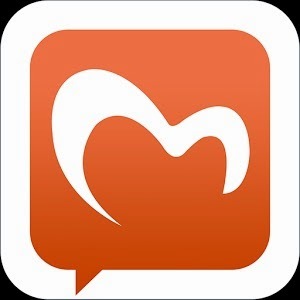 Mingle - Mobile Chat Rooms - Android App Review. Current social networking platforms all have their problems and quirks, things that stop them from being 'Perfect', and making users roam to the next social platform. Facebook is the largest social network today but it is losing users rapidly now, mostly the teens, because it lacks several vital features and that 'Young' feeling. Enter Mingle, a new social platform that has some nifty features that take social interaction and networking to the next level. Mingle's features combine the advantages from some older social platforms such as Snapchat, Tango and Facebook to create a new user experience. But, new doesn't always mean better. 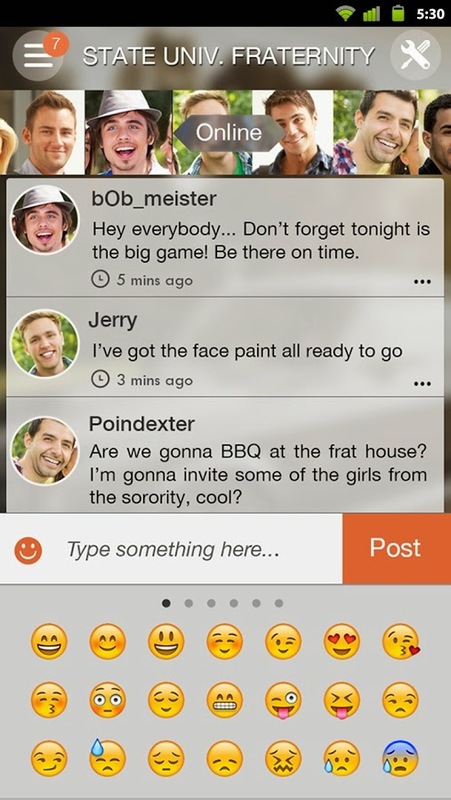 Does Mingle - Mobile Chat Rooms have what it takes to be a better and greater social networking platform? We launched our small army of reviewers into the fray and told them to come back with their reports, fair but honest. Indeed, their reports started piling in sooner than expected. First and foremost, this is a completely professional app, with a slick and premeditated interface with a gorgeous look. Mingle looks good! And the amount of features Mingle offers is astounding, especially considering the fact Mingle is free for download. In fact, it seems as complete a social network platform we've ever seen. Mingle is based around chat rooms, which the user finds or is invited to and then interacts with the people inside the chat rooms, but this is only the start because Mingle offers a very rich set of features to manage its main function, social interaction. You can search chat rooms based on subjects or themes. You can be invited to join secret chat rooms no one else can see. You can block entrance to a chat room by locking it with a password or you can make yourself invisible and interact only with people you want to. Mingle also has an additional set of very exciting functions. A good example is searching Mingle users nearby with the People Nearby feature. Another very interesting feature is matching, with the app automatically finding people to match, in private or public chat rooms. Of course, Mingle has a rich set of chatting functions, from group to private chat, to sending images and videos and much else. So, what did our reviewers say about Mingle? The common consensus is that the greatest thing about Mingle is it's usability to virtually anyone. Elder people can find and use public chat rooms dedicated to themes and subjects they want. Younger people can use Mingle to social interact and meet new people while keeping total control in their hands. Family members use private group chat rooms to keep in touch with each other and the many other uses our reviewers found for Mingle were huge, not to mention one who found a match and is now dating him for several weeks now. Our conclusion is that Mingle has huge potential to become the next big social network platfrom. It's got the functionality of other chat apps covered and in addition it added a lot of new and nifty features that make it really stand out. It's barely been out and already it's got thousands of users. We see great things in store for this app. Score: 4.9. A great social platform. We would have liked to have some protection for kids, like limiting them to family chat rooms and blocking chat attempts at them from strangers. Description: A social network platform based around chatting in chat room with a lot of exciting features thrown in. Good Points: A huge amount of options in contacting, managing and creating chat rooms. People Nearby feature. Stealth features. Match making feature. Bad Points: None, really. A very stable and mature app. We would have liked to have some protection for young kids (see the score section above). Experience: Our reviewers had no problem installing and running Mingle. Every reviewer found the chat rooms he liked and the mode of operation that appealed to him. Longevity: Excellent. People love to chat, at private or public chat rooms and the app's longevity will only improve as more people join in the following days and weeks.